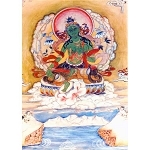 In How to Be Happy Lama Zopa Rinpoche helps us find our good heart, the heart that can easily rejoice in the happiness of others; he also gives us wonderful advice in transforming problems into happiness, and even in finding compassion for our â€œenemiesâ€â€”those people, thoughts, and situations in daily life we find so troublesome and unpleasant. The books ends with three wonderfully rich and evocative guided meditations that help us vividly see that the more we give the more happiness we find always in this moment right here. 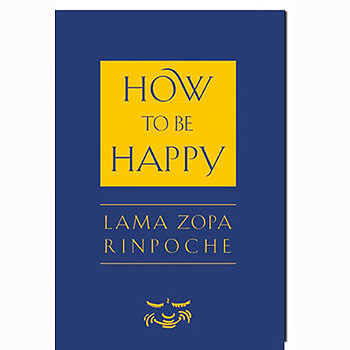 Anyone looking for advice on how to be happyâ€”truly, meaningfully happyâ€”will find Lama Zopa Rinpoche to be a trustworthy and skillful guide. He is a tireless teacher of methods that work for us when all is well, and also when lifeâ€™s troubles, big and small, seem unmanageable. Hardcover, 2008 edition, 131 pages.